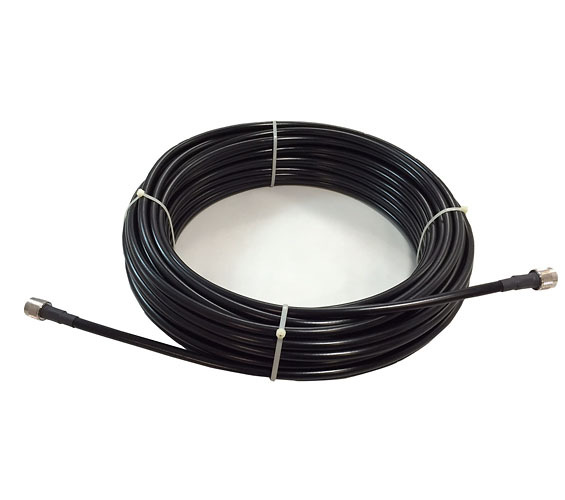 UV Resistant Polyethylene jacketed coax cable designed for 20-year service outdoor use. The bending and handling characteristics are significantly better than air-dielectric and corrugated hard-line cables. Sold per meter without connectors. We can provide specified length with crimped connectors. KSR195 coax cable with N-type connectors (male + female) on ends. Use to separate WIFI antennas or for Vessel-to-Shore WIFI Booster antenna installations. High quality CAT5 and CAT6 network cables. Gigabit PoE injector for WIFI/LAN Extenders with male or female DC power connector. DC Power cable splitter with one male and two female connectors. High quality N-type crimp connectors for antenna SLMR240 and SRF400 antenna (coax) cables.